Clever Lever Extra Jumbo Craft Punch - MARVY UCHIDA-Clever Lever Extra Jumbo Craft Punch. 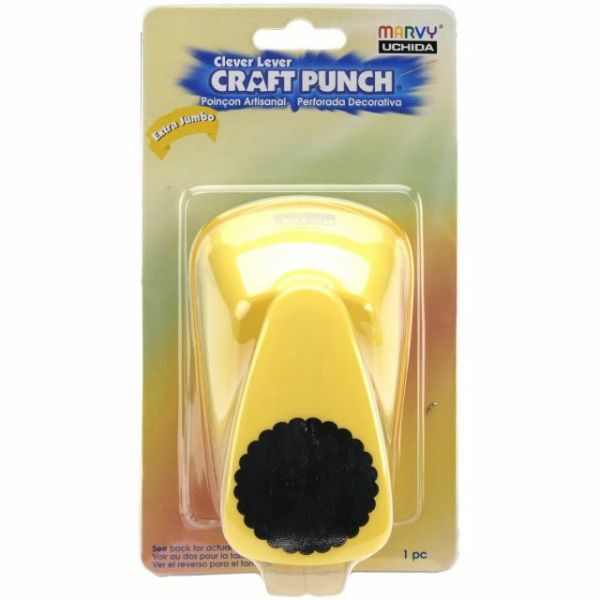 These punches feature a lever design that makes punching heavy cardstock easier than ever! The bottom of each punch has a sliding cover at the cutting edge to catch your cuttings and punch has a punch lever that makes it possible to use while holding the punch or by setting it on your work surface and punching using the palm of your hand. Cuttings measure approximately 1-1/2in. Imported.